Team World emerged victorious at the 2017 edition of the NBA Africa Game with a 108-97 victory over Team Africa at the Ticketpro Dome in Johannesburg on Saturday. 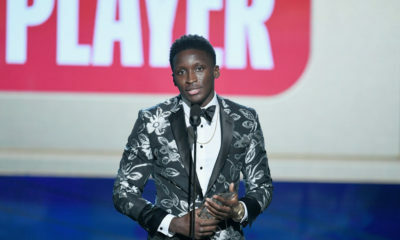 Nigeria’s Victor Oladipo was the bright star for the Team Africa as he earned the MVP honours of the game with 28 points and 9 rebounds. Emmanuel Mudiay was close to a triple-double as he posted a tally of 22 points, 9 assists and 8 boards. On Team World, Andre Drummund led the charge for the win with 14 points and 13 rebounds while DeMarcus Cousins put up a double-double with 11 points and 10 boards. This is the second consecutive win for Team World after their 101-97 win at the inaugural edition in 2015.